If you are planning a vacation this summer you know there is a lot to do to get yourself ready. Book your tickets, make reservations, pack your suitcase, etc. Have you given any thought to checking to see what your travel health care or medical coverage is where you plan to travel? This can be an easy one to forget, but it is so important. A little bit of research before you go can save you unnecessary stress while you travel. Look into your Medicare coverage within the United States or, if you plan to leave the country, think about maybe getting additional coverage as needed. Individuals with Original Medicare, Part A and Part B, can travel anywhere in the United States and still be covered (this includes Puerto Rico, the U.S. Virgin Islands, Guam, American Samoa, and the Northern Mariana Islands). This statement is true as long as you use doctors and hospitals that accept Medicare. 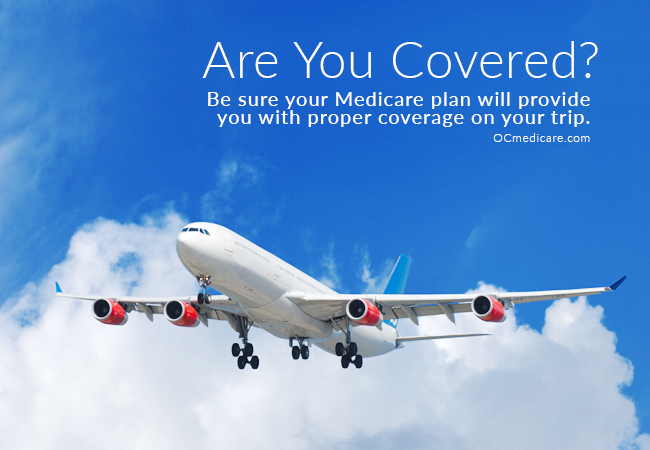 However, if you plan on traveling outside the U.S. your Medicare coverage may be limited. This also included Canada and Mexico. Don’t make the mistake of traveling without coverage! How to get Medicare coverage outside the U.S. According to medicare.gov, there are several ways you can obtain Medicare coverage when traveling outside the U.S..
Be sure to check your policy or plan before traveling to confirm what is covered/not covered when going abroad. By taking the extra time to do a little research before your trip you will save yourself from panic and stress if you require health care on your trip. Make your get away as relaxing and enjoyable as possible!